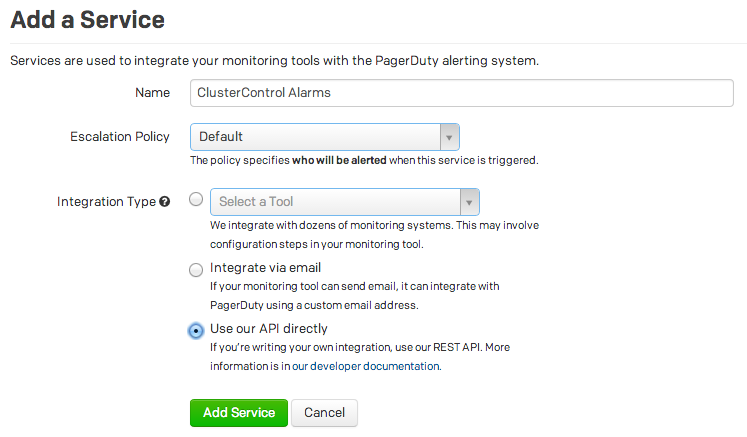 Let’s have a quick look at how the plugin works, but feel free to go directly to the PagerDuty setup instructions. A plugins directory can be set through the CMON configuration file (config file entry is plugin_dir), or in the cmon_configuration table found in CMON DB (PLUGIN_DIR key). When no value is set, the /var/cmon/plugins path will be used. The controller tries to execute the 'executable' scripts/binaries from the directory, while the non-executable files are skipped. How does the plugin execute? Some alarms (with the same alarm id) may be raised multiple times. Your feedback and suggestions are most welcome to improve this new feature. 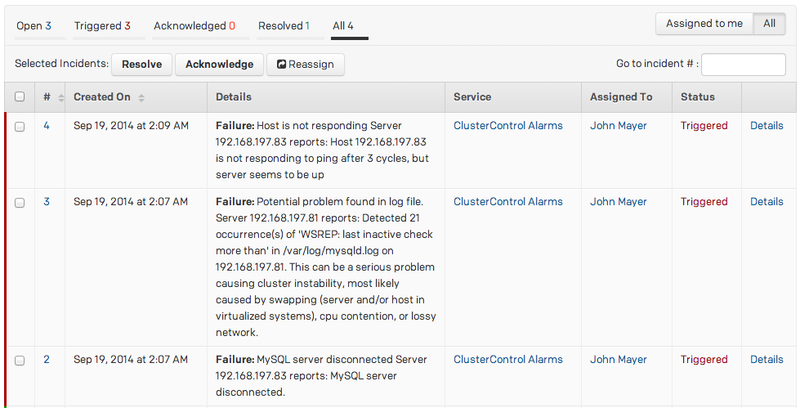 Happy alerting!